The campaign Human Rights Defenders for Free Elections is calling on both national and international experts to be engaged in a wide public debate on the implementation of recommendations made by observers in order to improve the electoral legislation of Belarus. On November 21, the campaign’s analysts presented their final report on the observation of elections to the House of Representatives of the National Assembly of the sixth convocation, which took place on September 11, 2016. The report recommended changes to the electoral law, which, according to the independent observers, would help bring the Belarusian elections to international standards, as well as increase the level of confidence in the results of the elections on the part of citizens and the international community. These recommendations relate to such procedures as the formation of election commissions, registration of candidates, working with the lists of voters, financing of candidates’ campaigns and the conditions of election campaigning, early voting and mobile voting, counting of votes and judicial appeals against election-related decisions. Most of the recommendations provided by the report have been repeatedly made by both national observers and experts of the OSCE ODIHR following the results of each election in Belarus, but remain relevant for many years because of the authorities’ failure to follow them. First of all, it concerns the procedure of counting of votes and its transparency, the formation of election commissions, early voting and the rights of observers. Since these points reflect systemic problems in the country's electoral law, the human rights defenders view as a priority the practical implementation of these recommendations. “Observation campaigns, both national and international ones, are conducted in order to identify flaws in the electoral law, which are not conducive to the holding of free and democratic elections, and to make recommendations to improve the electoral process. It is therefore important for us that work with the submitted recommendations is continued and that the authorities take the necessary measures for their implementation in the legislation. For our part, we are more than ready to communicate with the government bodies in this area and we are planning to develop more detailed recommendations on the main problematic aspects,” Valiantsin Stefanovich, analyst of Human Rights Defenders for Free Elections said. The final report of the campaign Human Rights Defenders for Free Elections will be sent to the Central Election Commission, the House of Representatives of the Belarusian Parliament, the Supreme Court, as well as the international observation missions of the ODIHR, the Parliamentary Assembly of the Council of Europe, and the Commonwealth of Independent States. 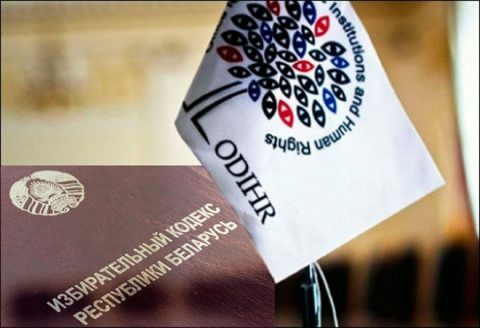 As a next step, the human rights activists are planning to hold a thematic conference and look forward to a wide range of participants, including representatives of the interdepartmental working group set up to review the OSCE ODIHR recommendations for improving the electoral process and the subjects having the right of legislative initiative.